Skyscrapers have got taller, more expensive, and a lot more elaborate over the past few decades. Some of the most recent designs incorporate wild twists, thousands of plants, and even unattainable features like the ability to hang off an asteroid. Business Insider has rounded up some of the most outrageous-looking towers; some have been in use for years, while others will likely never see the light of day. Take a look below. This tower features one of the tightest twists in the world, turning 5.943 degrees as it rises to a height of about 230 metre. Because the building makes a distinct rotation for each floor, there are four exterior balconies on every level. 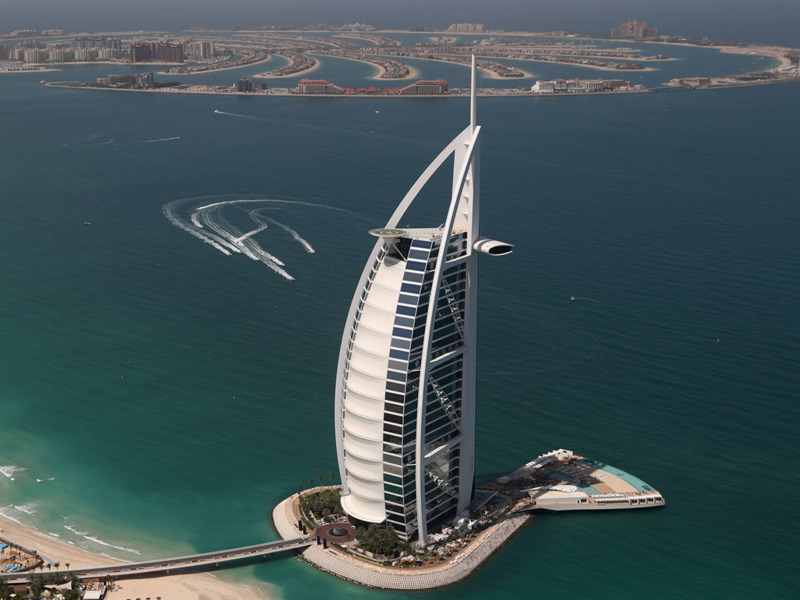 Dubai's Burj Al Arab was designed to look like a sail so it wouldn't cover the adjacent beach with its shadow. The hotel's interior stands out for its luxurious design, with four swimming pools and a private beach club. One of the hotel's restaurants is under the sea; its walls are made of thick acrylic glass to withstand the water pressure, and guests can enter it through a tunnel. The Marina Bay Sands hotel in Singapore boasts the world's largest infinity pool. 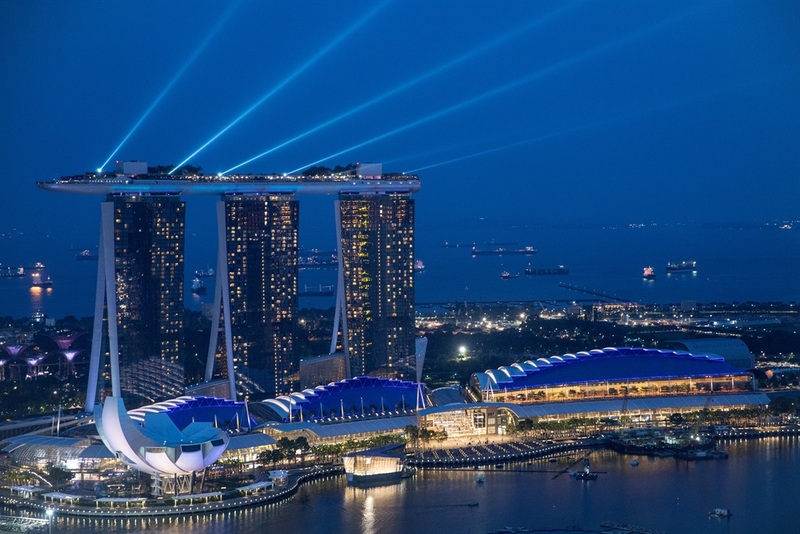 Singapore's Marina Bay Sands is the most Instagrammed hotel in the world. The five-star resort, which is 57 storeys tall, is also home to the highest and longest infinity pool in the world. Marina Bay Sands is made of three columns that are linked at the top by a terrace. Turning Torso became Sweden's tallest building when it opened in August 2005. The skyscraper is made of nine five-storey pentagons, with each one rotated 90 degrees from the one below to create an optical illusion. The nine pieces, which hold residential units, are connected by a steel exoskeleton that holds the 57-storey structure together. The building twists by 3 degrees per floor, with an overall rotation of roughly 135 degrees from base to top. When its design was revealed in 2004, the tower's DNA-shaped design stood out from almost all skyscrapers worldwide. It features an unusual apex with a circular opening, which is frequently seen in nature (like in spiderwebs, for example). A sky bridge — 300 tons of steel and glass — connects the building's two towers. 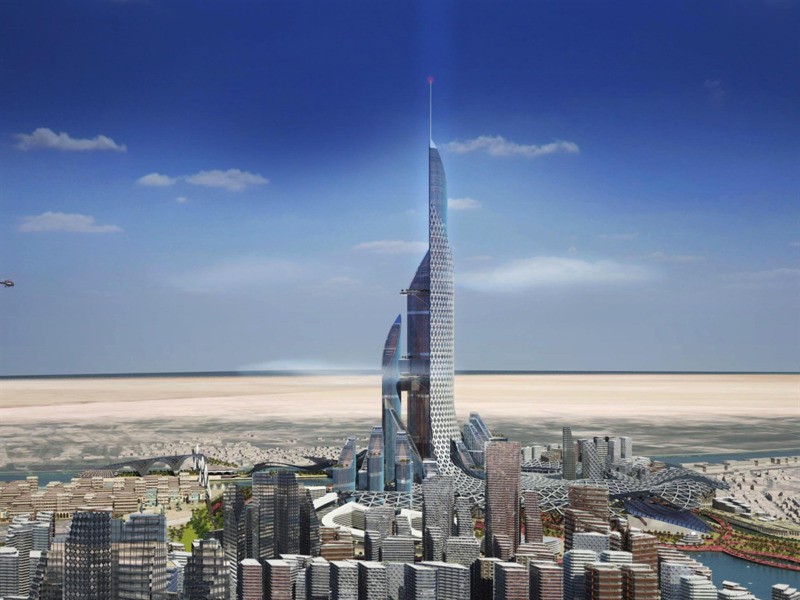 The tower also features the world's tallest mosque, which is found on the 77th floor. Another part of the building holds a women-only shopping area. In Osaka, Japan, a skyscraper elevator's glass windows create the impression of flying. Umeda Sky Building, located in Osaka, Japan, features a "floating garden observatory" that connects its two towers. Movistar's Chilean headquarters resembles a mobile phone from the '90s. 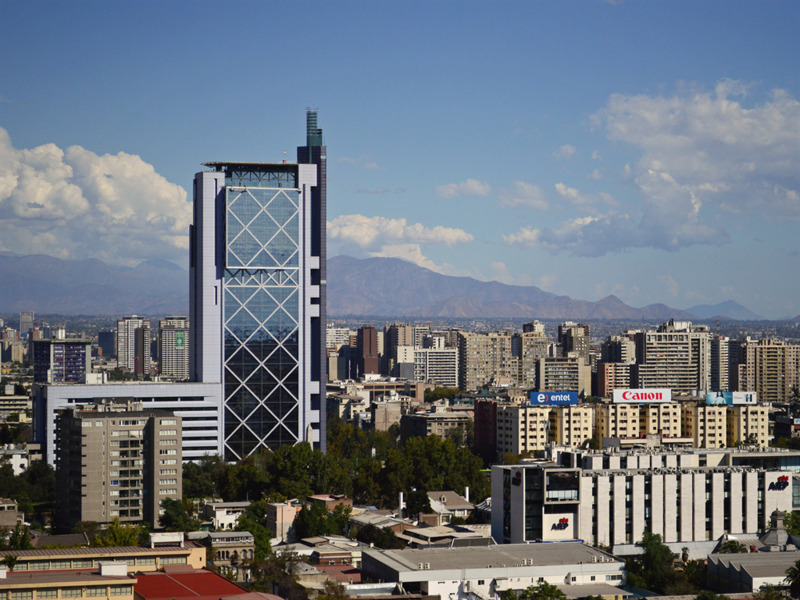 Built in 1993, the 145 metre tall tower is home to the Chilean headquarters for the phone company Movistar. It was designed to mirror the box phone, which was considered one of the most innovative mobile devices in the early 1990s. Billionaire Mukesh Ambani lives in a 27-storey skyscraper with his family. The Antilia skyscraper in Mumbai may the world's most extravagant home. Antilia belongs to business tycoon Mukesh Ambani, the richest man in India, and it towers over the city skyline at 150 metres tall. Six of the house's lowest levels are designated for parking, with the capacity to fit 168 cars, and the lobby holds nine elevators. Ambani's house also contains a 50-seat home theatre and a lap pool, and about 600 staff members work there. The rooftop, in addition to offering a panoramic view of Mumbai, has three helipads. A new skyscraper in China will feature a "sidescraper" across several towers. The horizontal sky bridge, which resembles a tube, will be 300 metres long and include a swimming pool, observatory deck, and retail spaces. The structure is designed by the same firm behind Singapore's Marina Bay Sands hotel. 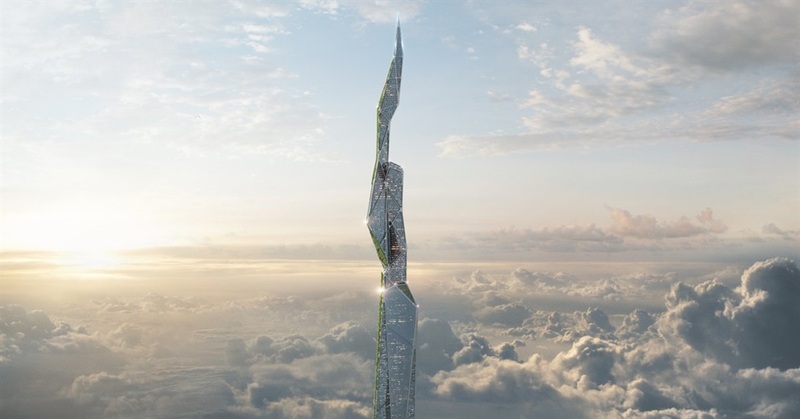 The 230-storey Bride of the Gulf in Iraq is set to become the world's tallest building, but its architects say the main goal is not to break a height record. 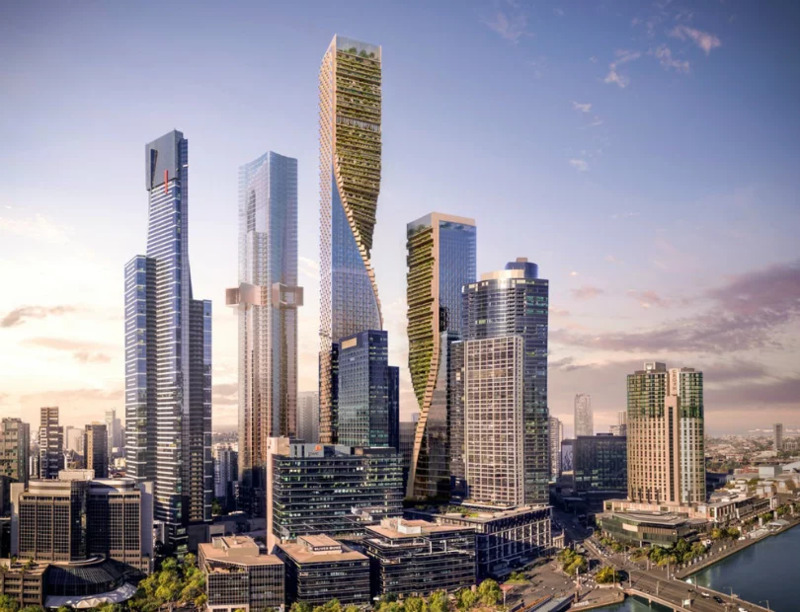 Instead, the British-Iraqi architecture firm AMBS aims to create a "vertical city" of four connected towers that could hold offices, hotels, schools, clinics, and more, according to The Guardian. A large canopy would be built over an area at the base of the towers. 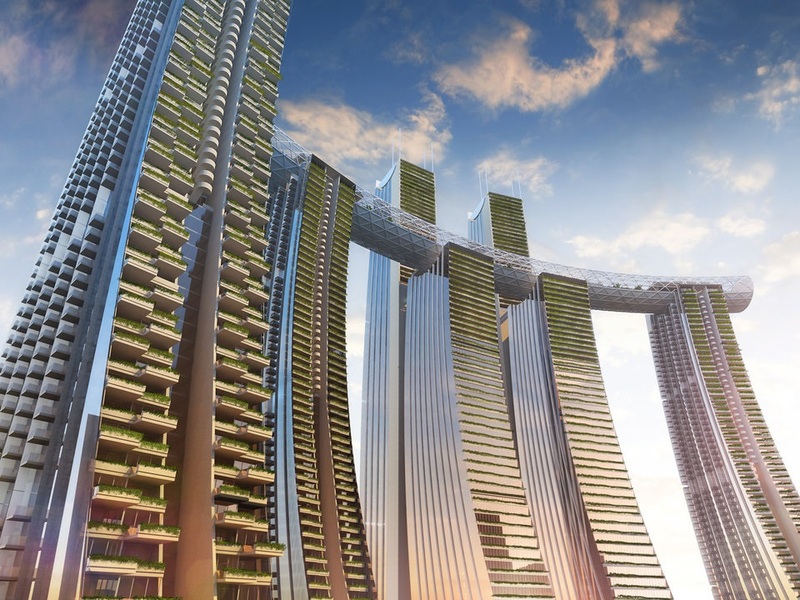 A 51-storey skyscraper in Singapore will include thousands of plants all over its facade. The 51-storey tower, which broke ground in February, will include a massive interior with a lot of flora. Plants will also poke out on the lower floors of the facade. The facade is designed to be self-shading, pointing north and west on the towers' upper faces. As the height increases, the plants go from smaller shrubs to larger trees, and the amount of overshadowing varies to optimise thermal comfort and noise absorption for residents. 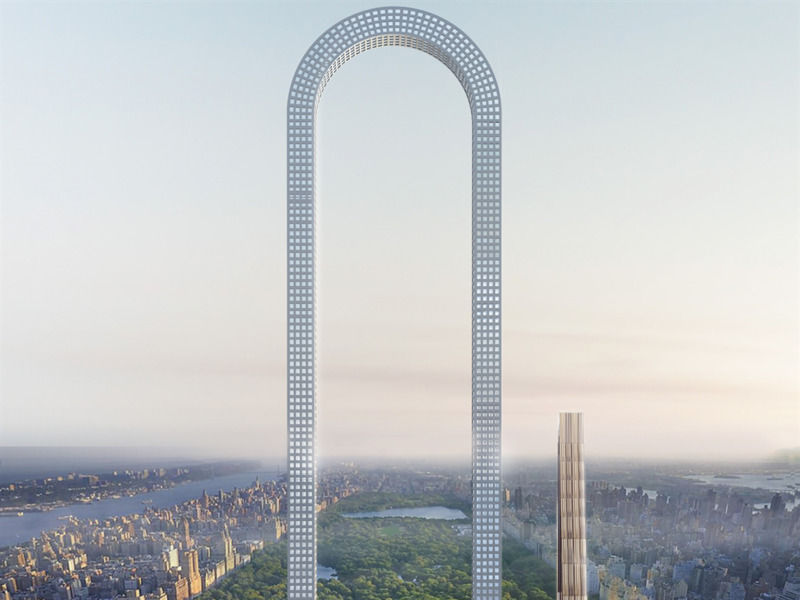 Greek architect Ioannis Oikonomou wants to build a U-shaped skyscraper just south of New York City's Central Park. The tower, called "Big Bend," would measure about 1,200 metre from one end of the U to the other. If built, Tokyo's Sky Mile Tower would be twice as tall as the world's current tallest building. 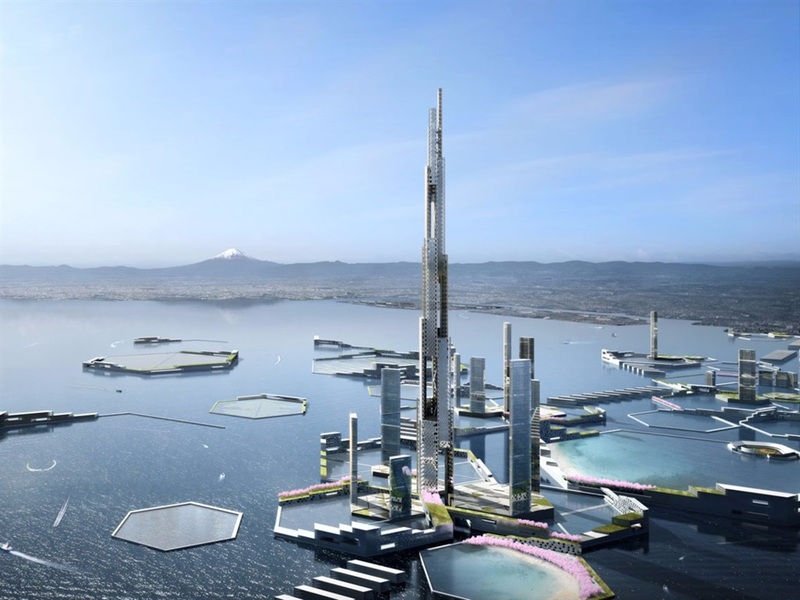 Sky Mile Tower was designed to rise as high as 420 storeys above Tokyo Bay. In 2016, Kohn Pederson Fox Associates and Leslie E. Robertson Associates announced plans for the skyscraper as part of a larger proposal called "Next Tokyo 2045," though no funding has been announced yet. Materials science company Arconic wants to build skyscraper of almost 5 kilometres high with smog-eating surfaces and retractable balconies. EcoClean, released in 2011, is a special coating that helps purify the air and keep buildings clean. 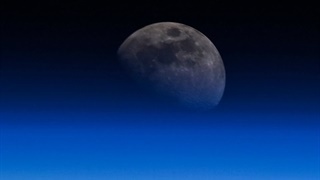 The material relies on light and water vapour, which mix with the chemicals in its coating to create free radicals. These atoms take pollutants from the air and break them down, removing them from the building's surface along with dirt. In addition, Arconic wants to include motorised windows that can converts into all-glass balconies in less than one minute. In 2017, a company spokesperson told Business Insider that Arconic has showcased this technology at various trade shows around the world and expects to hit the market in the "near future." No word on when the skyscraper will be built, however. The winner of eVolo's 2017 design competition wants to build a skyscraper with a vertical farm that could feed a whole town. 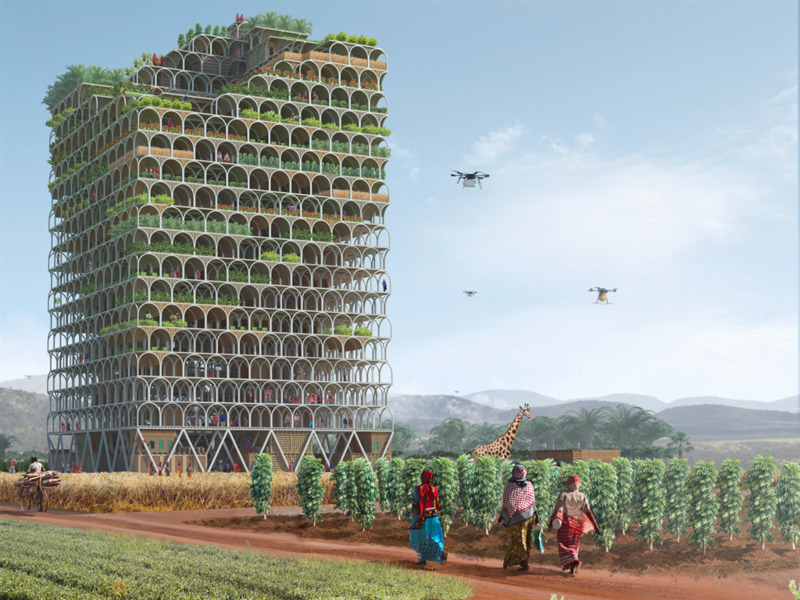 The design magazine eVolo holds an annual design competition for skyscraper ideas, and last year's winner, the Mashambas skyscraper, involves a vertical farm tower large enough to feed a town in sub-Saharan Africa. 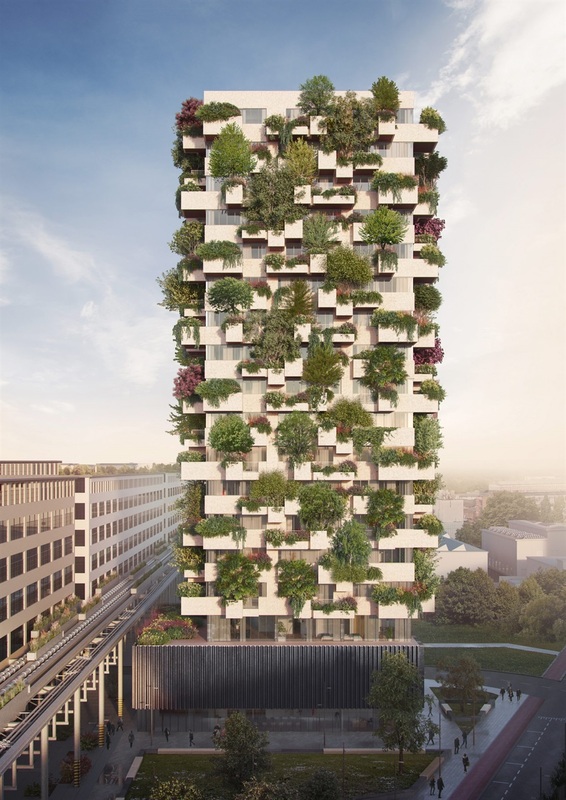 Mashambas, designed by Polish architects Pawel Lipinski and Mateusz Frankowski, would include fertiliser and seeds, and produce would be grown on the highest floors. 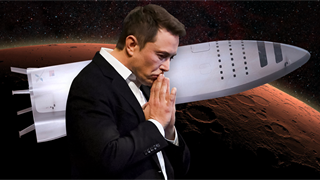 The remaining levels would include classrooms, a doctor's office, and a docking area for drones to bring food to hard-to-reach places. Farmers would be able to sell their crops at an open-air market on the ground floor. In addition, the designers want part of the tower to be made of modular pieces that can be taken apart and brought elsewhere. 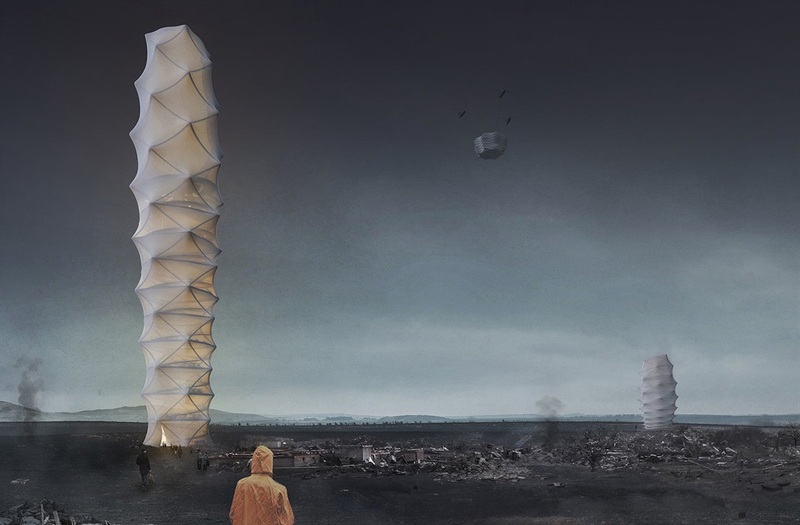 At this year's eVolo design competition, a trio of Polish architects took first place for proposing a skyscraper for disaster areas. Some designs are very unrealistic. 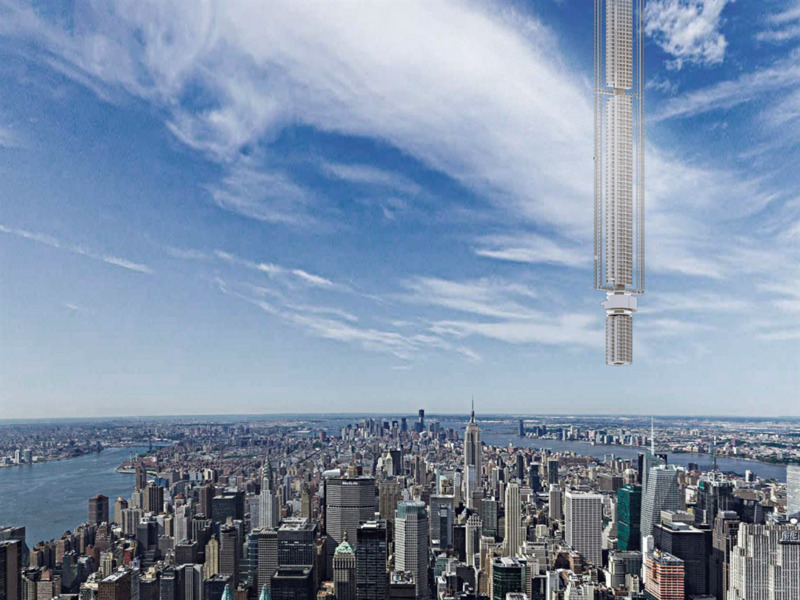 A New York design firm wants a skyscraper to hang from an asteroid more than 50 kilometres above Earth. Each day, the tower would travel thousands of kilometres in a figure-of-eight loop between the Northern and Southern hemispheres. This is, as you might imagine, impossible. Four South Korean architects believe that Giant Sequoia trees, which are native to California's Sierra Nevada, would make a great home for skyscrapers. The average Giant Sequoia tree is up to 85 metres tall. 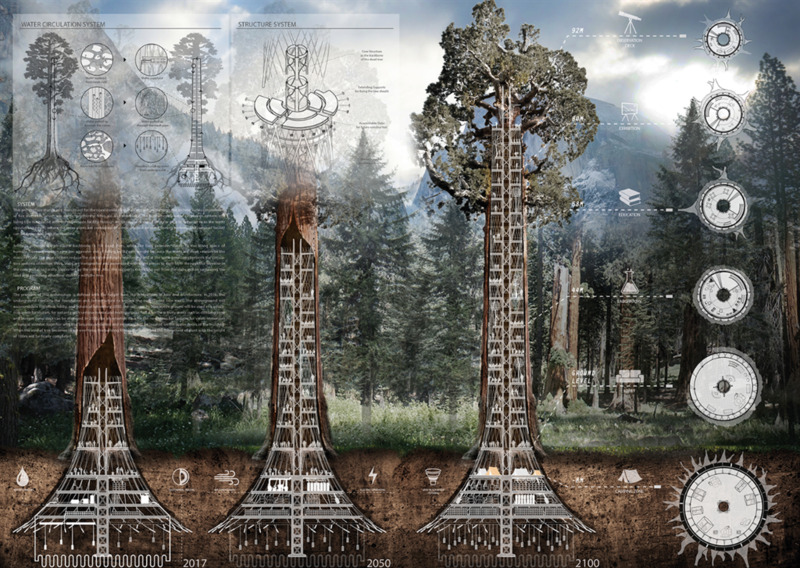 The architects — Ko Jinhyeuk, Cheong Changwon, Cho Kyuhyung, and Choi Sunwoong — received an honourable mention at eVolo's 2017 design competition for a proposal to design towers inside hollowed-out Giant Sequoia trees. 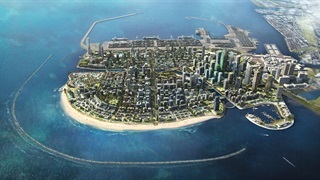 Each storey of the tower would be added gradually, and the skyscrapers would include research labs on environmental preservation, classrooms, a gallery space, and more. There are currently no plans to actually build such a tower.